Black glass offers one of the most exquisite decoration patterns. It is relatively unusual and helps to highlight your unique taste in interior decoration. At the same time, it looks very rich and memorable, so if this is the look you are going for, check out a couple of dining tables in black glass. 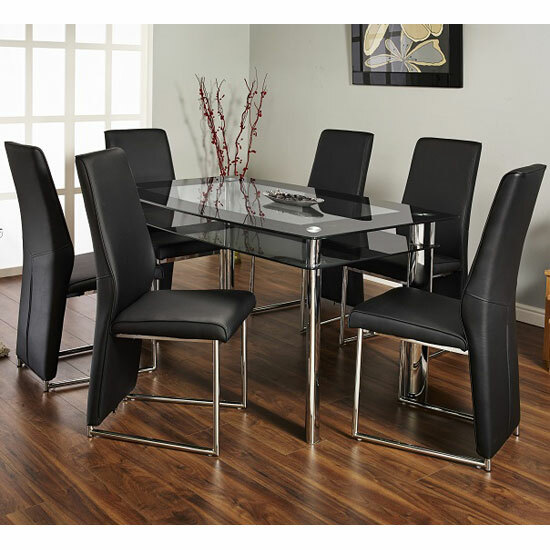 One more reason to go with dining table and chairs in black glass is that glass, even a tinted one, is a very neutral interior decoration solution that can be combined with the widest range of colour palettes and furniture materials. Black, in particular, is great for creating a contrasting and memorable pattern in any room. Even though technically black glass will look great virtually in any setting, it is most suitable for contemporary environments. 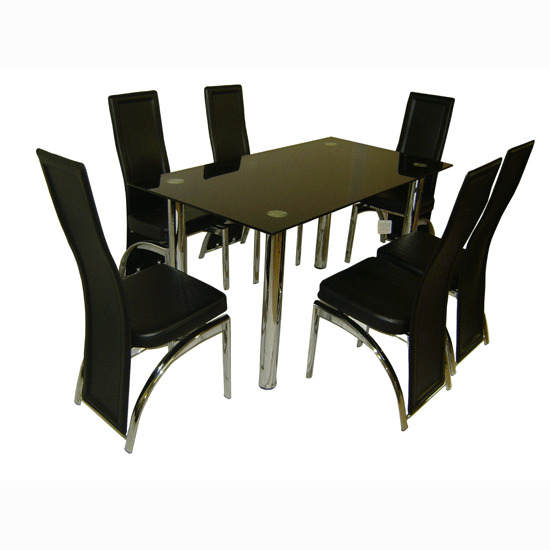 Dining table and chairs in black are a fabulous addition to a modern dining room, filled with sunlight and furnished with other contemporary furniture units and accessories. 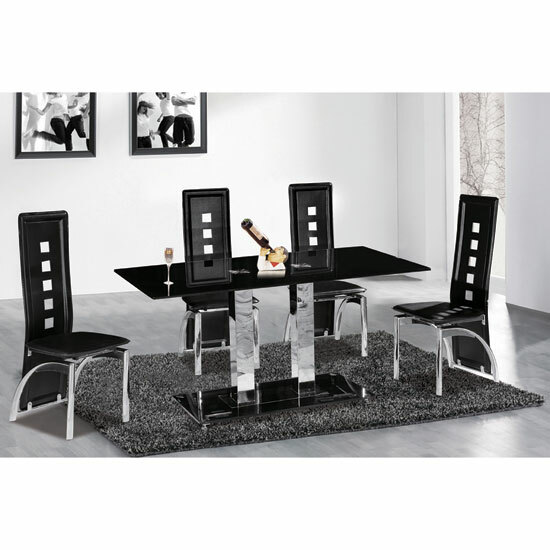 One more reason to go with a black glass dining set is that it will look impressive with a variety of other furniture materials. If you are looking to create a very modern, time relevant atmosphere, combine it with leather and high gloss arrangements. If you are looking for something classier, go for a combination of glass and wood. And, if you are working on hi-tech interior, add a couple of chrome or metal objects into the room. Even the most spacious sets in black glass will look compact, which is another perk, helping you to avoid furniture clutter and opening up (visually, at least) more room for yourself. Finally, high quality tempered glass is one of the safest, practically unbreakable materials that are incredibly easy to maintain and to clean. Also note that dining table and chairs — black glass or clear ones — will not be the cheapest sets, so you are looking for reasonable deals, the best idea would be to stick to big stores, like Furniture in Fashion . This platform is one of the best stores in the UK, offering a perfectly balanced combination of high quality and moderate price on the majority of listed items. However, the primary reasons of choosing in favour of this company is that it works only with reputable manufactures and ensures highest quality of every listed product. And, like most local stores, it can guarantee swift delivery to any destination point in the UK.